As marijuana fans celebrate the cannabis holiday known as 4/20 on Friday, advocates in the nation's capital are complaining about an increase in police crackdowns on pot sales. WASHINGTON — As marijuana fans celebrate the cannabis holiday known as 4/20 on Friday, advocates in the nation’s capital are complaining about an increase in police crackdowns on pot sales, claiming they are unfair in a place where residents voted to legalize marijuana more than three years ago. “The industry should be open to anybody who wants to participate,” argued Lisa Scott, who runs a D.C. edible cannabis company. Marijuana vendors in D.C., such as Scott, have been operating in the face of mounting police pressure. Possessing small amounts of pot for recreational use was made legal in 2014 under Initiative 71, but actions by Congress ensured that selling the drug remained against the law. 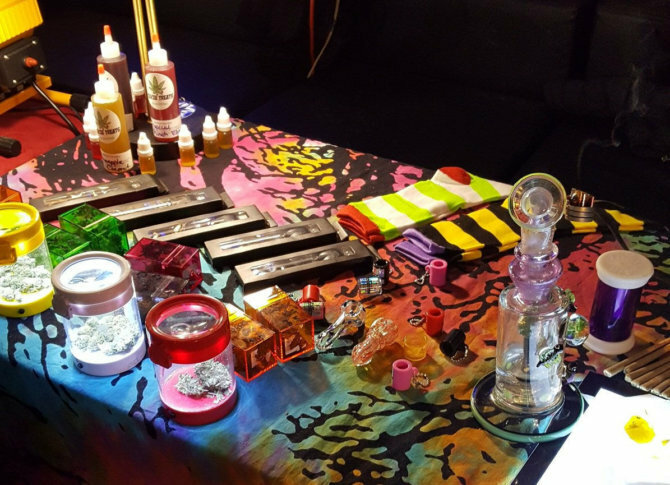 In recent months, police have been busting “giveaway” events that vendors host at various locations across the District. The vendors try to get around the prohibition on sales by selling customers a small item, such as a sticker, and then “giving” the customer marijuana as a free gift. Although police may have initially tolerated the events to some extent, it appears that is no longer the case. Police have conducted raids, taken vendors into custody and confiscated large amounts of cannabis products including dry flowers, vape cartridges and THC-infused baked goods. Some vendors have even been hit with criminal charges of possession with intent to distribute a controlled substance. Eidinger is lobbying for D.C. to allow legal pot sales, and he is trying to drum up support to unseat Rep. Andy Harris, the Maryland Republican known for using congressional authority to limit Initiative 71. While the political debate and police raids continue, the District’s pot vendors show no sign of closing up shop.